This week, we talk to the founding members of the Grammy award-winning Carolina Chocolate Drops. 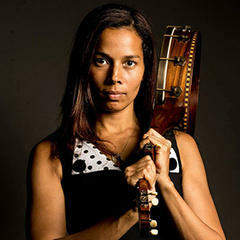 Justin Robinson, Rhiannon Giddens and Dom Flemons started playing music together under the tutelage of legendary black old-time fiddler, Joe Thompson in his backyard shed. The Chocolate Drops came together to carry on the old time and country traditions from the Piedmont region in the Carolinas, but they wanted to do more than just play.